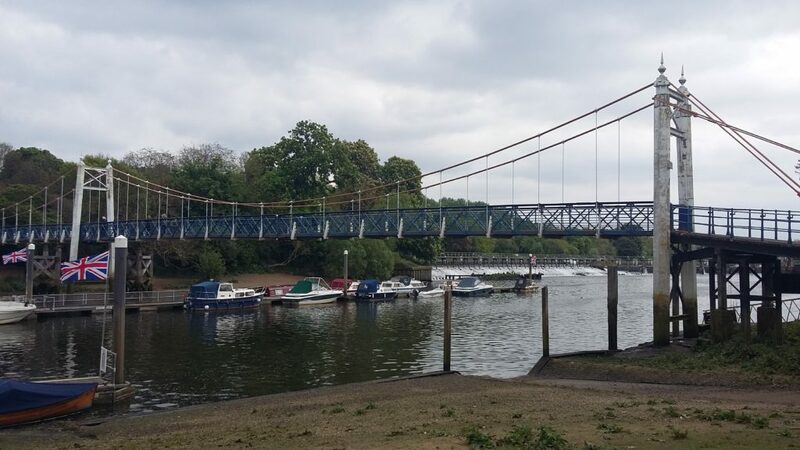 Yesterday I completed stage one of my Thames walk, from Teddington Lock to Richmond Bridge. In the photo above you can just see the end of the weir, upstream below the footbridge. This marks the limit of the tidal Thames, which is why I chose it as my starting place. Except of course, that it doesn’t – at occasional exceptionally high tides the tide will flood over the weir and a little beyond. First first – being reminded that facts can turn out to be a bit malleable. Other firsts included first ducklings of the spring, my first close-up heron (who unfortunately likes to eat ducklings), first time trying to identify the plants and trees alongside the path (I’m finding this site very helpful). I wrote my first story – with a plot and all – and I got my first comment on this blog (it was spam). All in all, a pretty satisfying start to the project. I want to talk about something else I did for the first time, and that was to make those calls that go “Hi, I’m a writer and I’d like to come and talk to you about…” As soon as I started planning the first one, I realised something – I was feeling very aware of the stereotypes around ‘writers’, worried what assumptions people would make about me, and determined to explain who I ‘really am’ to them. I absolutely positively did not ever use the word ‘poet’. There’s two things I notice going on here. One is that the fact that I was so immediately aware of my feelings about people’s possible reactions is because I am unaccustomed to being stereotyped. I am white, straight, of average appearance, broadly middle-class, and in general people have to wait a bit before pigeon-holing me. Many many others are not so lucky. Worrying about people making judgements about me before I get a chance to explain myself is new to me in a way that is making me understand on a whole new level how much privilege I have. The other thing – and you might have spotted this too – is that this is all about my feelings about other people’s possible thoughts. And I am so often wrong about those thoughts. In fact, everyone I spoke to yesterday was really lovely. Friendly, interested, and happy to talk about what they do and enjoy (as many people are). Unsurprisingly in hindsight, they didn’t seem bothered about me at all, we weren’t talking about me. Why did I begin with the assumption that I would be judged for being a writer (or worse, poet)? What does that suggest about my beliefs about writers, and my perception of the profession? That’s a rhetorical question – I can see where it comes from as I’ve been feeling troubled for a while by how I see myself in this role. I think that figuring it out may end up being part of this project. 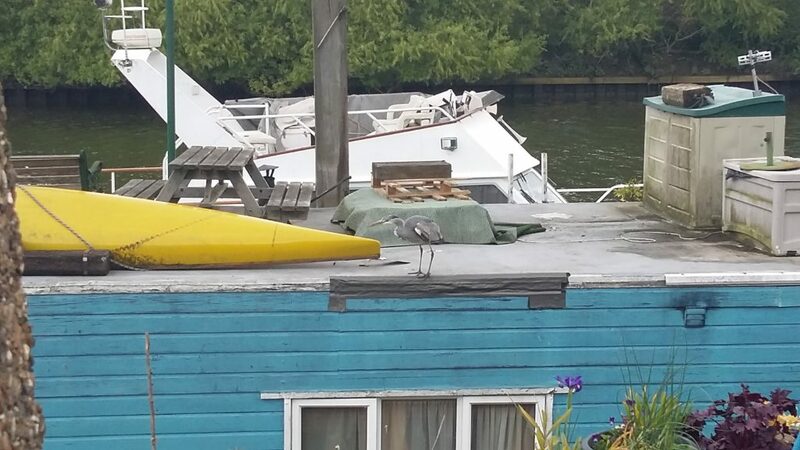 Highlights: A huge London Plane tree which was 5 of my arm-spans around, an orange cat who lives on a houseboat, a floating vegetable garden, the fact that the heron is just as happy to eat a jam sandwich as a duckling. Haha – not sure about that!! Lovely! Thank you! 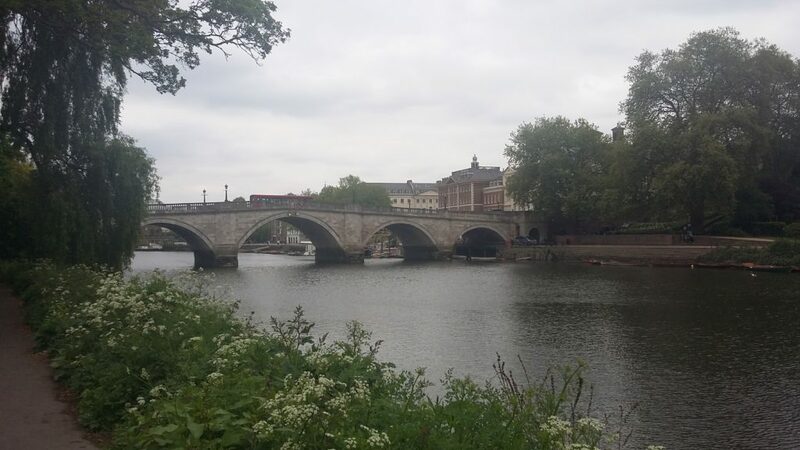 Teddington apparently gets its name from Tide End Town…so they say. I love that you are a poet – its wonderfully romantic and interesting. I would be proud to say I was a poet! You should be too!